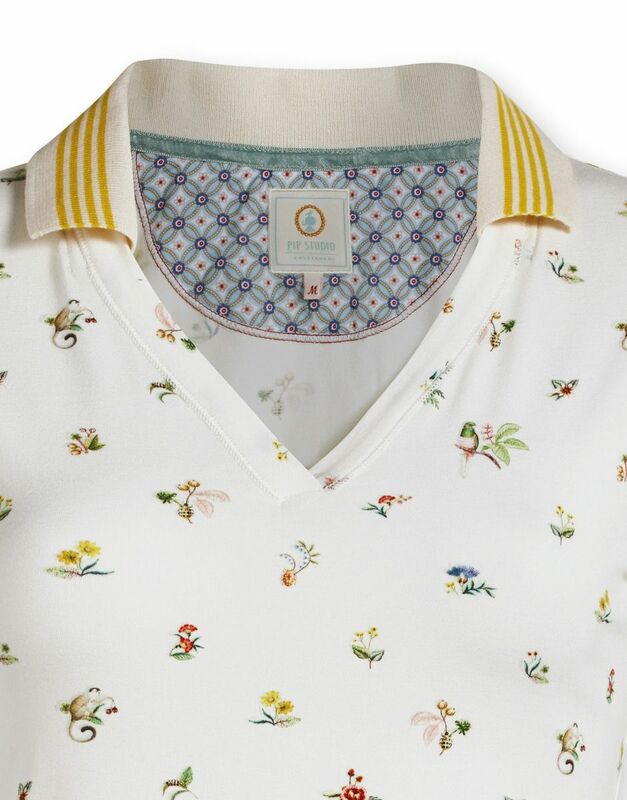 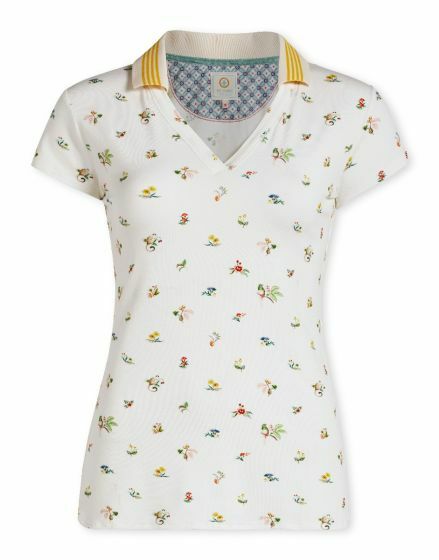 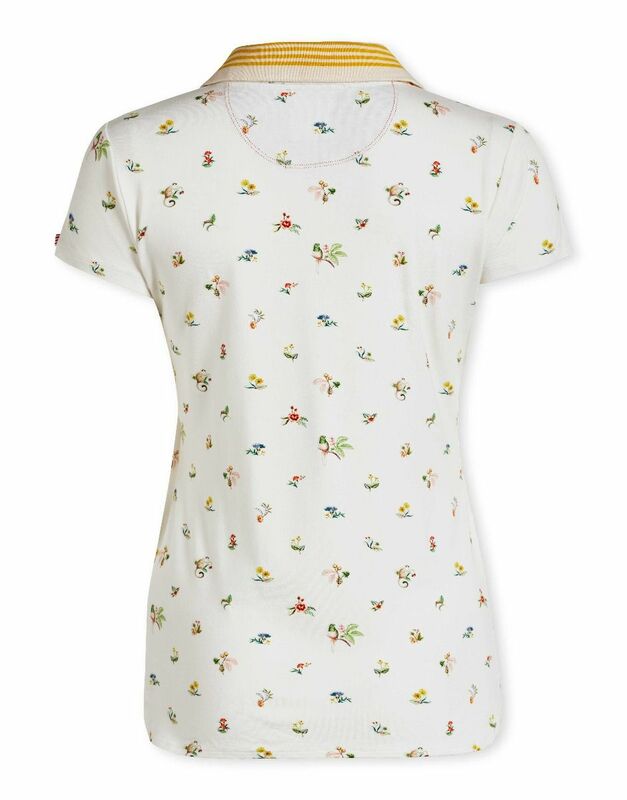 This top with short sleeves is decorated with the Moss design, featuring exotic flowers, insects and birds. 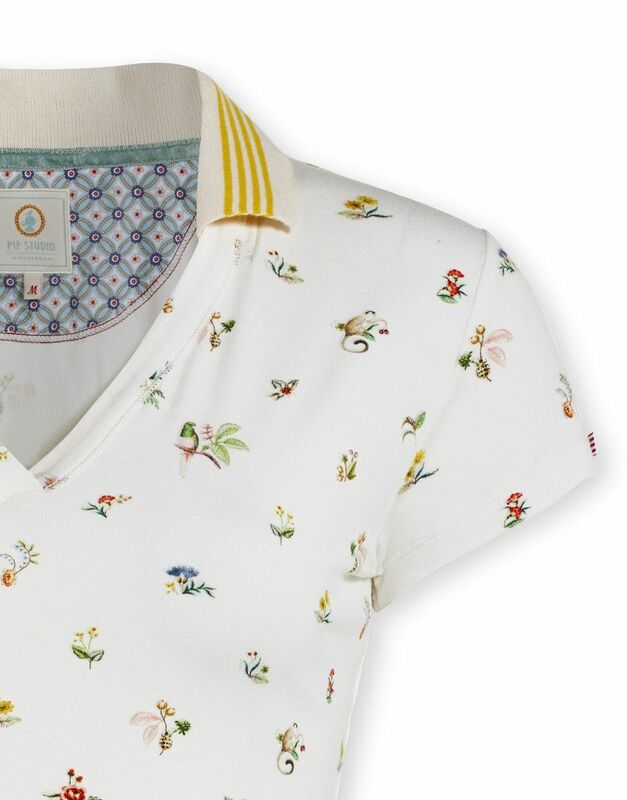 The familiar red Pip bow adorns the left sleeve and the V-neck with white and yellow striped collar gives it a sporty look. 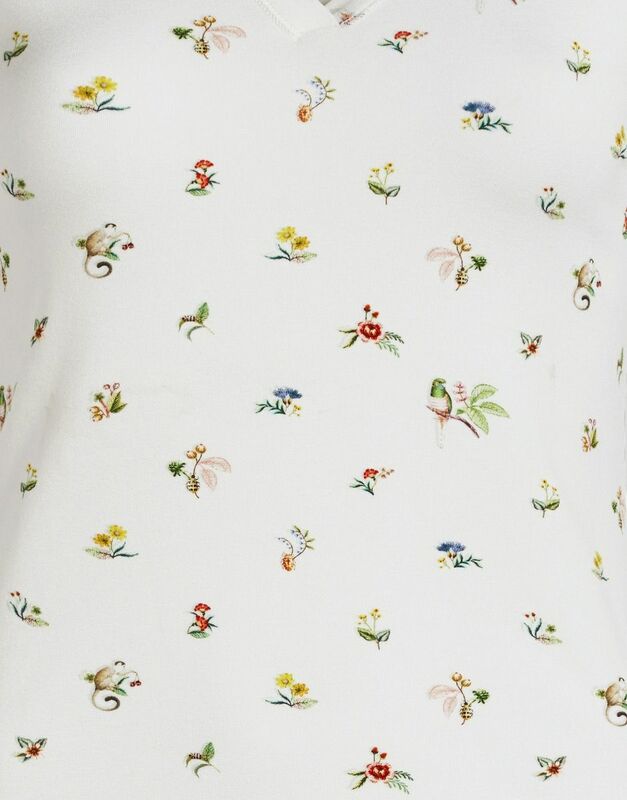 The perfect match for the Baukje 3/4 trousers.